At Riverheart Family Dentistry, it is our goal to preserve your natural teeth whenever possible with general dental care. However, in cases where a tooth extraction is necessary, due to severe decay or extensive tooth damage, you can trust Dr. Schwarz to deliver superior care. 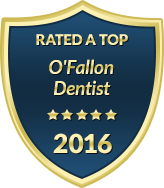 Our dental practice believes in providing exceptional dentistry with valued respect for patient comfort. Not only do we offer office amenities such as complimentary beverages, TVs and a children's play area, but we also use sedation dentistry and the latest dental technology in our treatment rooms. If you need a tooth extraction, you can expect a comfortable, efficient and rewarding experience from beginning to end. Dr. Schwarz's skilled precision is combined with our sedation dentistry and comfort injection techniques to minimize or eliminate your pain during a tooth extraction procedure. After your tooth is removed, we will educate you on your follow-up care as well as explain your options in tooth replacement. Our office offers dentures, bridges and dental implants to restore your smile after missing teeth. Wisdom teeth are typically the last set of molars to erupt. They do not provide significant benefit to your smile function or aesthetics, and they are known for their high probability of complications. Not all patients experience difficulties with their wisdom teeth, but a large majority of patients have them removed as preventative measure. Dr. Schwarz often suggests wisdom teeth removal for patients between 16-20 years of age to protect their smile from future problems such as bite misalignment, jaw cysts, bone loss and infection. These issues occur when the wisdom teeth are impacted, grow sideways or get trapped under your gum and bone. At Riverheart Family Dentistry, we perform wisdom teeth removal just like our routine tooth extractions, with skilled expertise and minimal patient discomfort. For those who have impacted wisdom teeth, Dr. Schwarz may refer you to a specialist for more advanced care. To schedule a consultation for wisdom teeth removal or to learn more about our tooth extraction procedure, please contact us today. Our compassionate and friendly dental team proudly serves patients of all ages with the latest knowledge and techniques in modern dentistry.